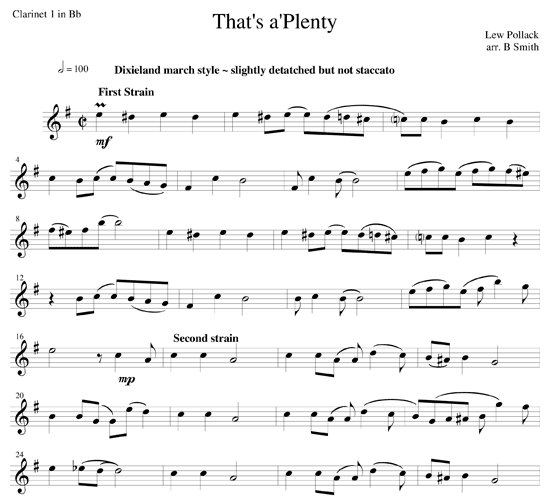 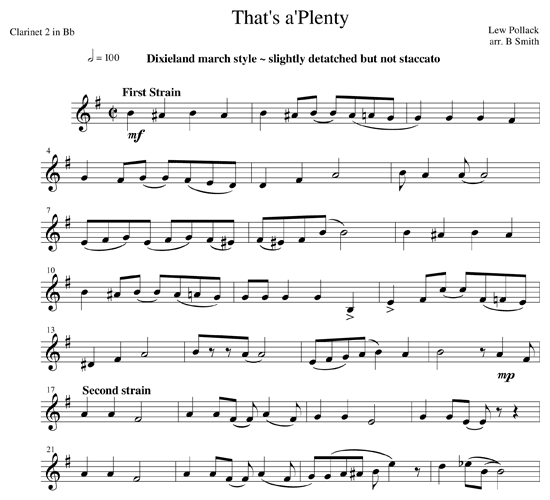 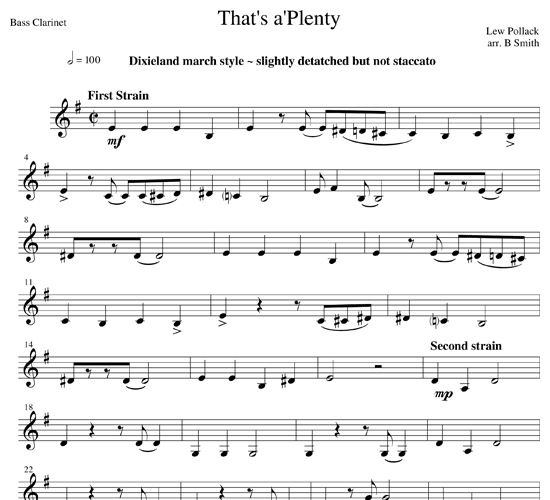 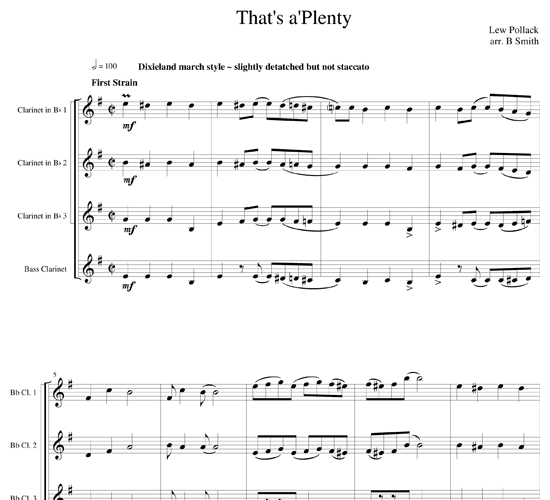 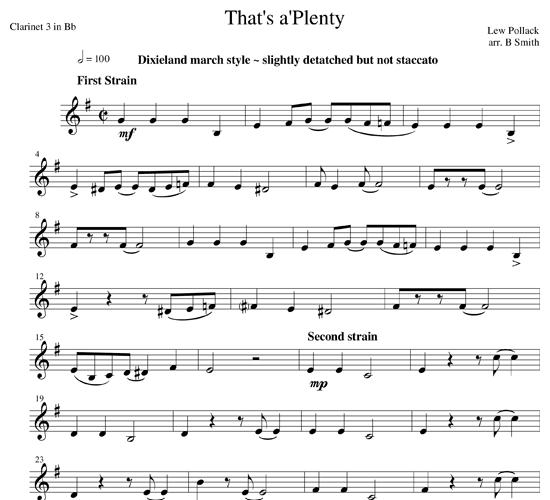 That’s a’Plenty was originally written as a rag in 1914, but in the 1920s it was converted by various New Orleans Dixieland bands into a Dixieland march. 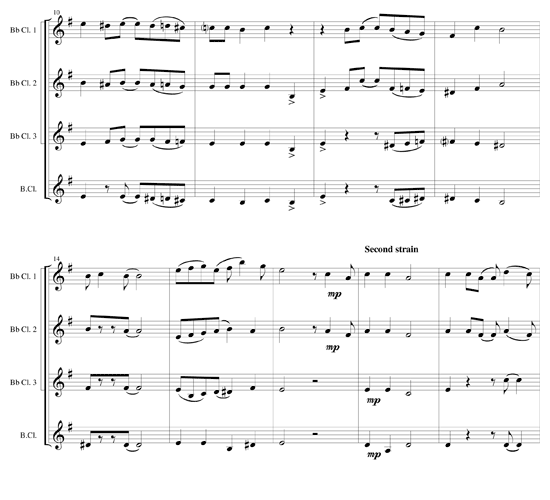 This arrangement is very straightforward and easy for students to understand. 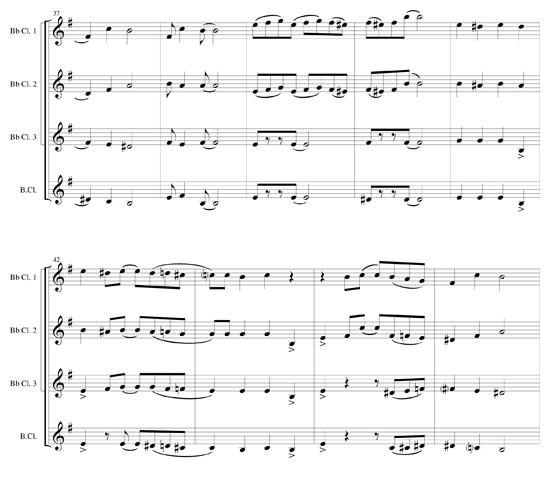 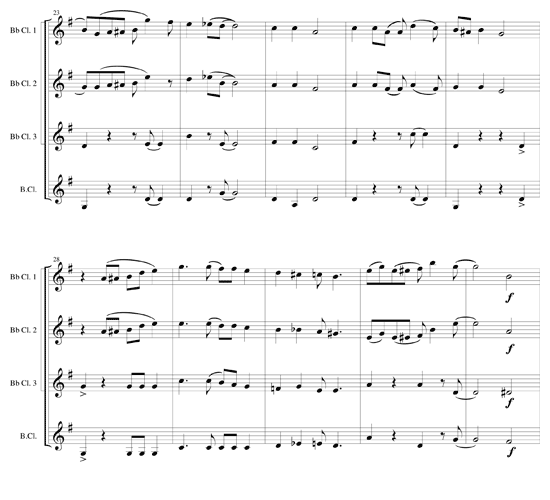 It has an ad lib solo for the first clarinet, including a written out solo as well as cord symbols for the more adventuresome. 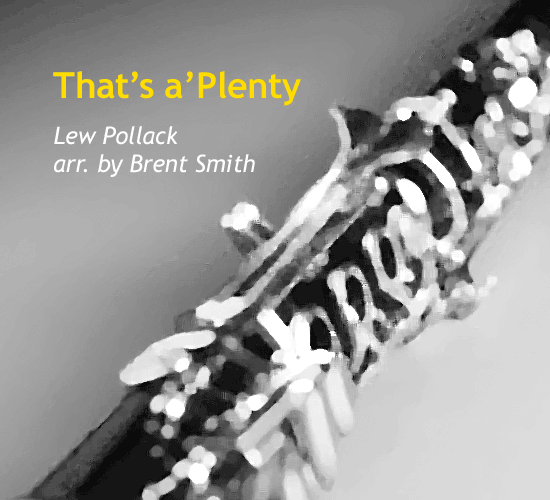 It’s fun to play and well received by audiences.